Law Office of Taylor and Taylor represent all cases of DUI’s in Los Angeles including the criminal penalties, drivers license suspension, blood alcohol level, and finding a local DUI attorney. A trusted and award winning defense firm with an Avvo rating of 10.0. 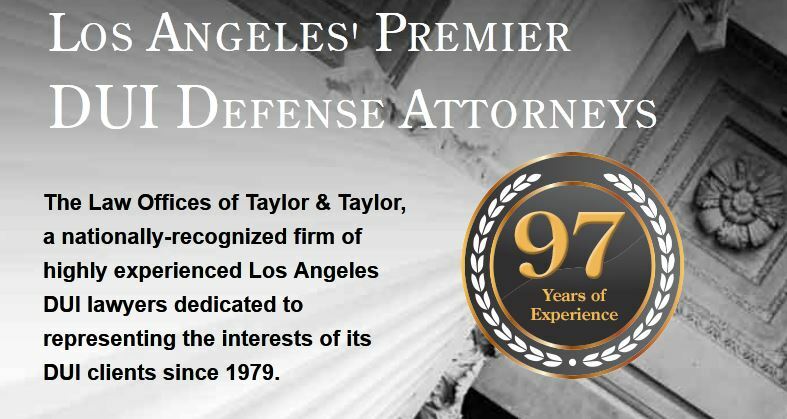 With more than of 21 years of experience, a high AV rating, a listing in the Bar Register of Preeminent Lawyers and a national reputation, The Law Offices of Taylor & Taylor are a fighting force for all your drink and drug related charges throughout LA.